Before you even conceive a child, your doctor will likely offer lots of recommendations about dietary changes that can benefit your pregnancy. These often include supplementing with vitamins such as folic acid, making more nutritious food choices, and avoiding potentially dangerous foods including fish with high levels of mercury and imported soft cheeses. But one thing your obstetrician may fail to mention is adding probiotics to your diet. New research, however, suggests that might be a very good idea, especially in helping to prevent two sometimes serious complications. The study, which took place at Gothenburg University in Sweden, found that an intake of probiotics during pregnancy may lower the risk of both preeclampsia and premature birth.1 Preeclampsia is a condition that is characterized by high blood pressure and often signs of damage in the liver and kidneys. It can lead to slowed fetal growth, placental abruption, seizures in the mother, and even death. Premature birth, which is defined as delivery before 37 weeks of gestation, is linked to a long list of both short-term and long-term problems in children. In the current research, the results are based on an analysis of data collected from 70,149 pregnant subjects in the Norwegian Mother and Child (MoBa) study between 1999 and 2008. Each of the participating women answered questions about their diet, lifestyle habits, medical history, and more, providing this information at 15, 22, and 30 weeks gestation. More detailed questions about food consumption were included in the surveys completed at 15 and 30 weeks, specifically focusing on various milk products that contain probiotic bacteria during each of those points in pregnancy and prior to becoming pregnant. After the information was evaluated, it became clear that the intake of probiotics is associated with distinct benefits during pregnancy. No specific amount of probiotics appear to be required to obtain the positive effects, but interestingly, the benefits differ based on when the mothers-to-be were consuming the probiotics. In the analysis of preeclampsia, there were 1,851 cases, and in 550 of them, the condition was considered severe. Probiotic intake was tied to a 20 percent lower risk of developing preeclampsia, but only when taken in the later stages of pregnancy. As for premature birth, there were 2,858 infants delivered early enough to be considered premature. Among the participants, the association between probiotics and lowered risk of delivery prior to 37 weeks was equally strong. When consumed during the earlier stages of pregnancy, probiotics were linked to a 21 percent decrease in premature birth risk. The research was not designed to prove cause and effect, so we cannot say based on these results that the intake of probiotics was directly responsible for the decreased likelihood of preeclampsia or preterm birth. In addition, the investigators did not collect information on the particular strains of probiotics in the foods consumed, leaving uncertainty as to which ones might be most beneficial during pregnancy. 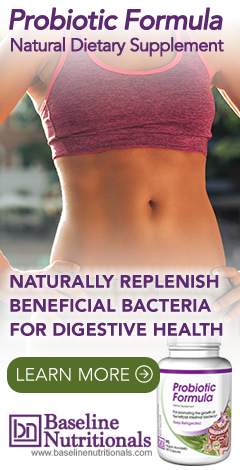 That said, probiotics are a safe way to help keep good bacteria thriving and prevent bad bacteria from flourishing in our digestive systems. For one thing, they help boost your immune system, and not just during pregnancy. But probiotics have been shown in earlier research to be valuable when taken during pregnancy, such as a 2012 study at Turku University Central Hospital in Finland that found infants whose mothers took probiotics during pregnancy and while breast-feeding were less likely to develop eczema.2 And now, if, as the current study finds, they can potentially lower your risk of preeclampsia and preterm birth, both of which strike approximately 10 percent of pregnancies, all the more reason to consume probiotics. What are the best ways to get a daily dose of probiotics? As was noted in the study, certain milk and yogurt products contain probiotics. If you like these and are happy to eat them every day, they can provide you with a reliable source of “some” beneficial strains. However, if you do not consume dairy products, would not eat these on a regular basis, or are looking to support your body with a broader range of beneficial bacteria, you would be better off supplementing. For more information on what to look for, read Jon Barron’s newsletter entitled Probiotics Revisited, Part 2. 1. Nordqvist, Mahsa; et al. "Timing of probiotic milk consumption during pregnancy and effects on the incidence of preeclampsia and preterm delivery: a prospective observational cohort study in Norway." BMJ Open. 23 January 2018. Accessed 28 January 2018. http://bmjopen.bmj.com/content/8/1/e018021. 2. Rautava, Samuli; et al. "Maternal probiotic supplementation during pregnancy and breast-feeding reduces the risk of eczema in the infant." Journal of Allergy and Clinical Immunology. 18 October 2012. Accessed 29 January 2018. http://www.jacionline.org/article/S0091-6749(12)01464-9/abstract.